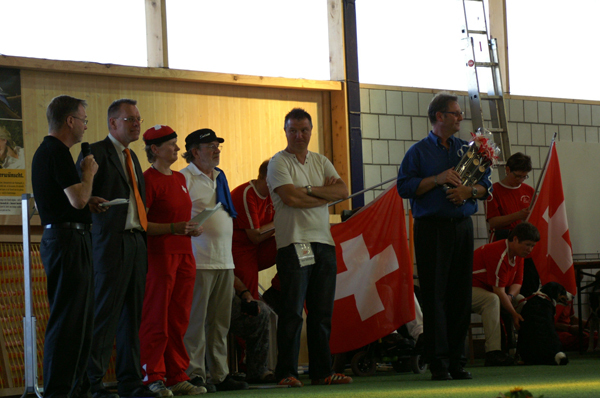 For the first time Switzerland was organising with more then 200 competitors from the countries: Belgium, Germany, Finland, France, Hungary, Italy, Republice San Marino, Spain, Czech Republic, United Kingdom, Switserland and of course a big team of the Netherlands. Max Heiniger (4th of the leftside) from Switzerland and Peter Borsje of the Netherlands ( 2th of the leftside) and Dimitri Vanblaere of Belgium ( 2th of the rightside). All with beautiful and exciting courses to run for IMCA and PAWC competiton. 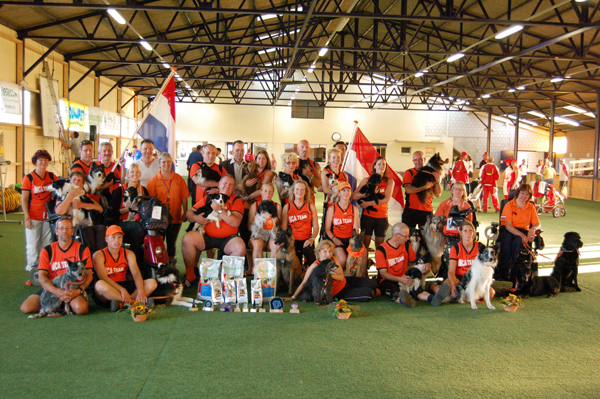 For the ParAgility World Cup this year 53 competitors, which a lot of competitors known of years before, but also new entries. This year a price for the best Totall-Results PAWC which Switzerland had won. The price best Totall-Result of IMCA went to Italy. 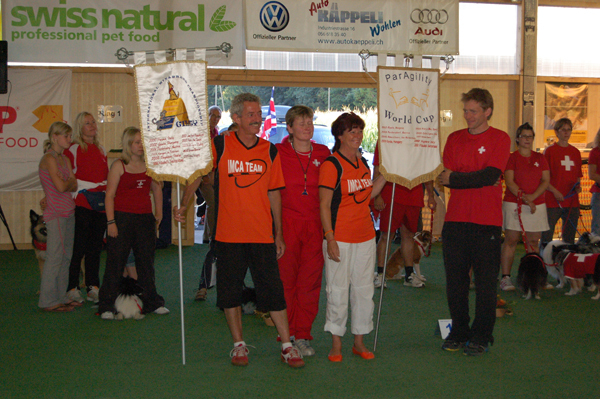 Next year the 12th IMCA & 10th PAWC 2011 will be organised in the Netherlands!